Here are a couple of mixed media sealed with beeswax canvases I made as some birthday gifts for friends. I have neglected to post about them for over a month. The kitty canvas was for a 12 year old girl who loves cats, and the "She who would fly" canvas for her 18 year old sister. 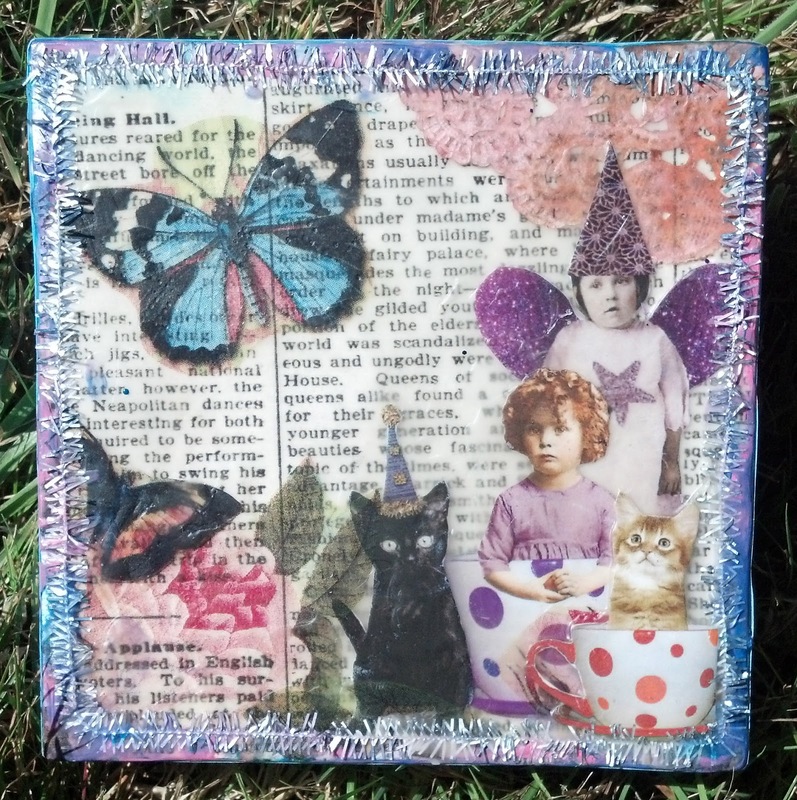 I used newsprint gift wrap (found in the dollar section at Target) for the background of the kitty canvas. It is all beeswax, with napkins, clip art from Lisa's altered art, and a bit of doily. Oh, and some cool tinsel ribbon. 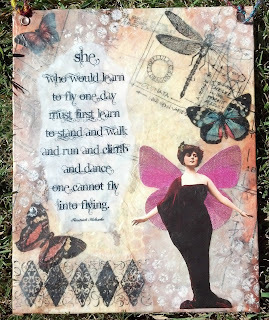 The "Fly" canvas started out as a mixed media piece with lots of paint and ink. I also collaged on some napkin bits, clip art from Lisa's altered art and sewing pattern tissue. The dragonfly stamp is from Stampers Anonymous Classics #1 set. This is so cool!! You are amazing! !